While many were expecting a potential downside surprise due to the 'residual seasonality' of August payrolls (discussed previously), moments ago the BLS reported that after a weaker than expected July (which was revised lower from 170K to 153K), August payrolls came in strong than expected at 201K, above the 191K consensus estimate. The revisions were less exciting: With the June revision down from +248,000 to +208,000, and the change for July was revised down from +157,000 to +147,000. With these revisions, employment gains in June and July combined were 50,000 less than previously reported. "Even though payroll gains exceeded consensus, keep in mind that August has a history of upward revisions, so this number is likely to be even stronger. 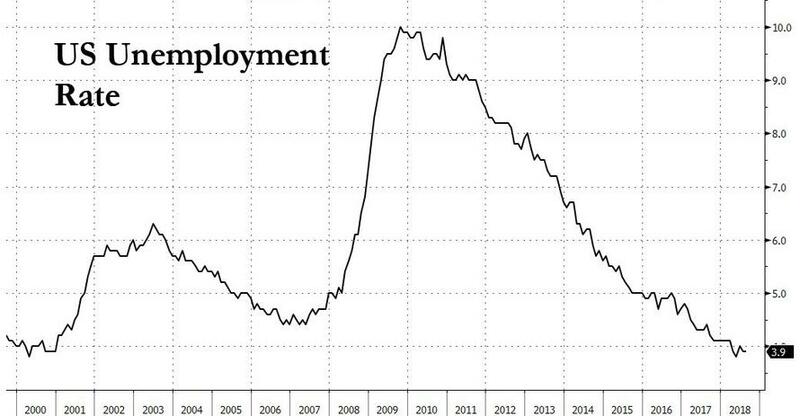 Over the past five years, August payrolls have been revised up by an average of 51k relative to the first print." 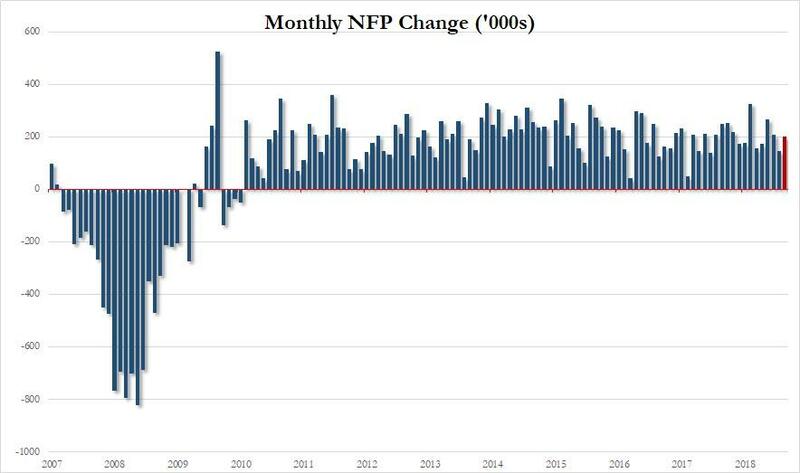 ... what prompted the spike in the dollar, and the lower kneejerk response in risk assets, was the average hourly earnings print, which came in scorching hot, relatively speaking, rising 0.4% last month, double the 0.2% expected, and 2.9% on a Y/Y basis, the highest going back to 2009. The breakdown by sector shows that durable goods manufacturing and professional and business services were the biggest contributors to the earnings increase, but the gains were fairly broad-based across sectors: wholesale trade, education and health services, nondurable goods manufacturing, and retail trade all logged solid gains as well. 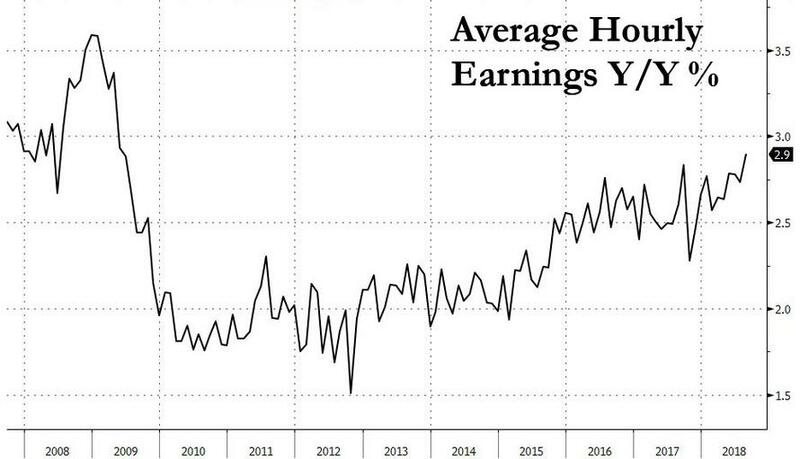 Here's Mahedy again: "Average hourly earnings reached an expansion high, growing by 2.9% on a 12-month basis. Policy makers have been waiting for signs that inflationary pressures are on the horizon. Here's the first sign." As a reminder, it was the "hot" January hourly earnings print that according to many prompted the sharp selloff that Friday that cascaded into the VIXtermination event the following week. Is the market about to have another similar ugly reaction now that wage inflation, and the Phillips curve, appears to finally be making a comeback? Back to the report, we find another positive: the broader U-6 measure of unemployment fell to 7.4% from 7.5% as number working P/T for economic reasons fell 188k to 4.379 million. 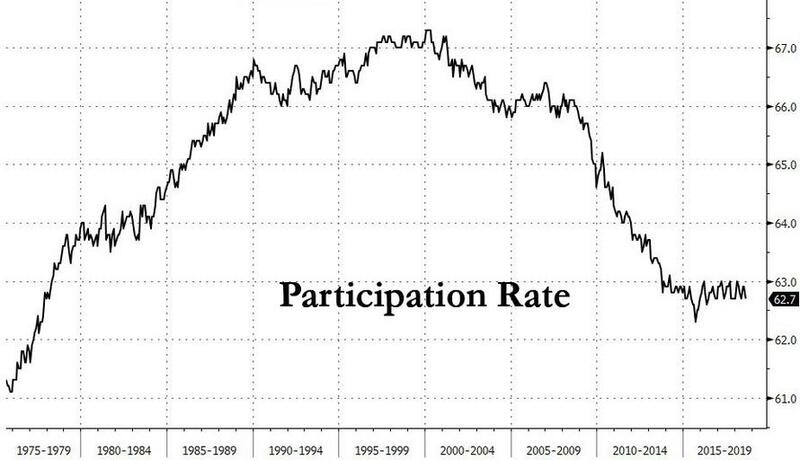 More good news: the participation rate fell to 62.7% from 62.9%. 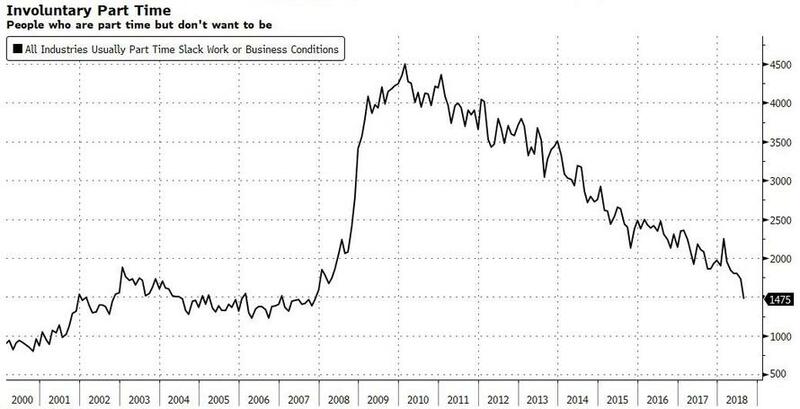 And even more good news: the number of involuntary part-time workers plunged back to 2007 levels, yet another confirmation of a tightening labor market. Unlike prior months, there were no gimmicks in the hours worked, as the average workweek for all employees on private nonfarm payrolls remained unchanged at 34.5 hours in August. Professional and business services added 53,000 jobs in August and 519,000 jobs over the year. In August, health care employment rose by 33,000, with job gains in ambulatory health care services (+21,000) and hospitals (+8,000). Health care has added 301,000 jobs over the year. Wholesale trade employment increased by 22,000 in August and by 99,000 over the year. Durable goods wholesalers added 14,000 jobs over the month and accounted for about two-thirds of the over-the-year job gain in wholesale trade. Employment in transportation and warehousing rose by 20,000 in August and by 173,000 over the past 12 months. Within the industry, couriers and messengers added 4,000 jobs in August. Mining employment increased by 6,000 in August, after showing little change in July. Since a recent trough in October 2016, the industry has added 104,000 jobs, almost entirely in support activities for mining. Manufacturing employment changed little in August (-3,000). Over the year, employment in the industry was up by 254,000, with more than three-fourths of the gain in the durable goods component.